The buses fall under a $43.2 million contract that was awarded to Winnipeg-based company New Flyer Industries Canada, which will begin manufacturing the buses this coming spring. A total of 40 electric, slow-charging buses are expected to hit Laval and Montreal roads by 2020. "To date, this is the largest firm order for electric buses in Canada," a joint statement from the two municipal public transport agencies says. Thirty of the 12-metre buses that were ordered will go to Montreal, and 10 to Laval, the statement says. The provincial and federal governments provided a grant of over $9.6 million for Laval buses. On the Montreal side, 85 per cent of the funding will come from the province. 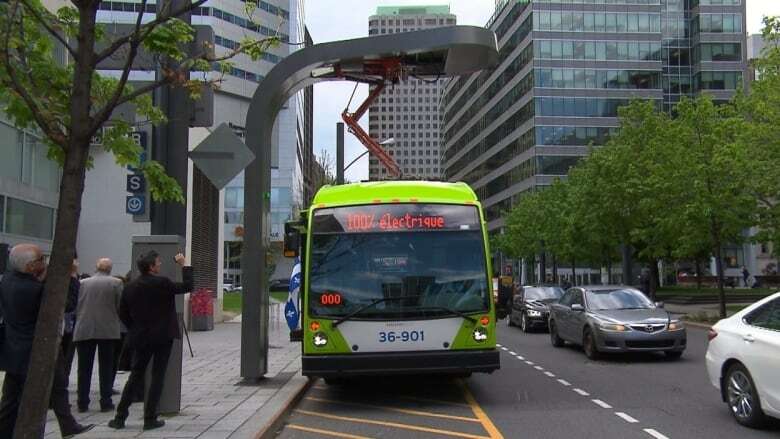 The Société de transport de Laval (STL), which already has one electric bus in circulation, aims to purchase only electric buses by 2023. The Société de transport de Montréal (STM) currently has three electric buses in its fleet and aims to purchase only electric buses by 2025. Slow-charging electric vehicles typically take six to eight hours to charge whereas quick charging is done en route, taking three to five minutes each time. Slow-charged batteries allow for considerably longer drive time than those that are quick charged. All-electric bus system for Montreal by 2025?